LaCrescent is a tough little grape that found it’s roots in Minnesota and made a happy transition to the former cornfields at Maize Valley. It produces a wine that’s semi-sweet with apricot tones and citrusy flavors or grapefruit and tangerine throughout. 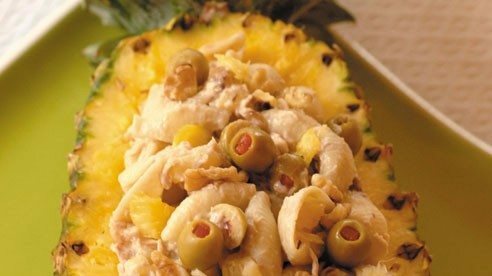 Wines with similar flavor profiles are wonderful choices for pairing with (and taming) spicy foods. 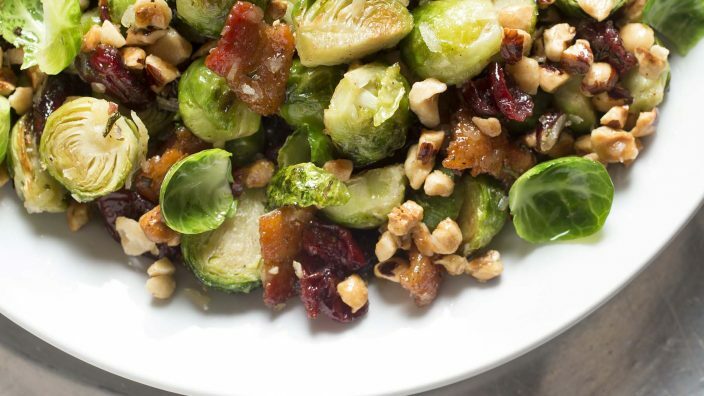 Brussels sprouts have made a big comeback, and terrific recipes like this one are the reason why. 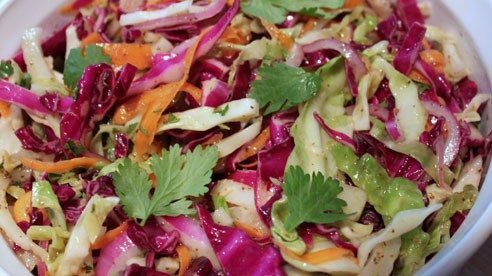 The recipe mixes sweet, smoky and nutty ingredients in a salad that will become a cold weather favorite. 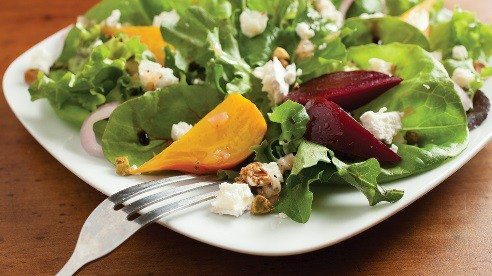 Delicious and sweet, roasted beets and creamy, tangy goat cheese buddy up in this simple yet satisfying salad. The salty pistachios add a nice crunch and burst of flavor. 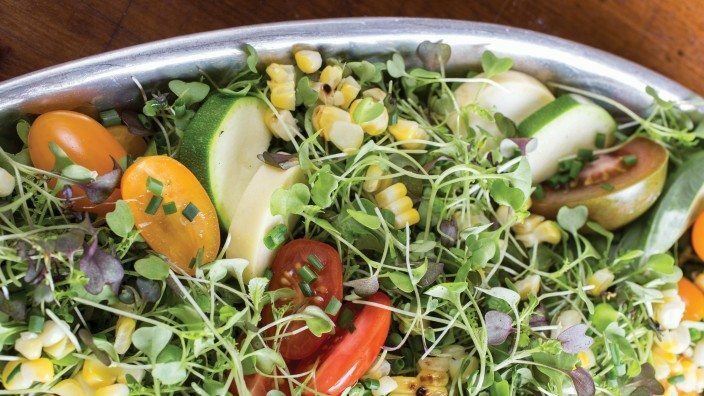 Apples from Rittman Orchards and all across Ohio begin coming on from mid-summer through late fall presenting many opportunities to make this salad. 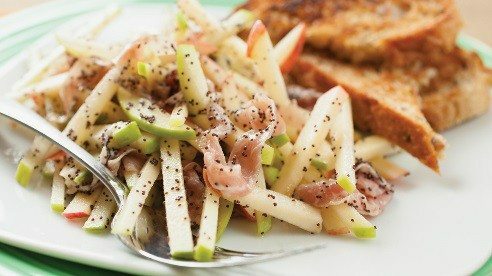 Be sure to mix the flavors, textures and colors of the apples to balance the look and taste. 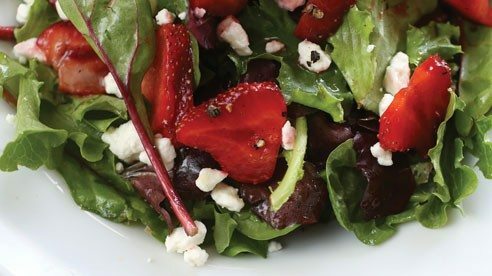 After the macaroni is cooked, putting the salad together is a snap. Any grade of maple syrup will do, but for full, robust flavor, choose darker, late season maple syrup. 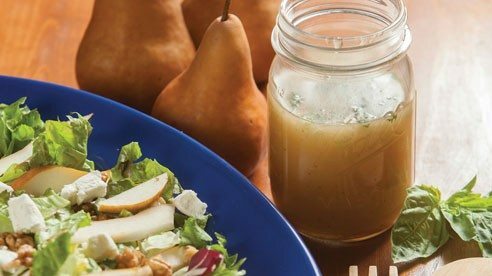 This vinaigrette is perfect for salads that feature slices of pears or apples and salty feta or goat cheese. 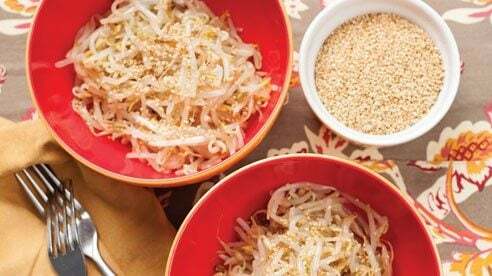 Sprouts are rich in nutrients and protein and were used thousands of years ago by Chinese physicians attempting to cure many disorders. 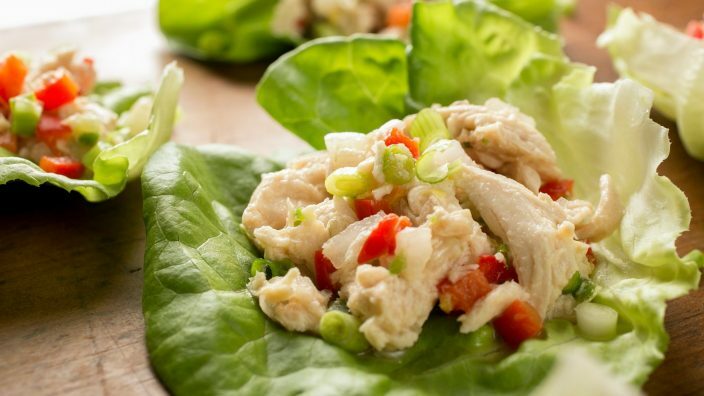 This can be made ahead; store in the refrigerator until ready to serve.